As a Bills fan, I comment not on head coaches, QBs, or star players. All of whom, in the past decade, have come and gone like the flu season. Instead, I will be cheering on other Bills fans, a shared misery of the couchdom. Countless Sundays left wondering, “Why?” The best part of being a Bills fan? Inevitably, is, other Bills fans. Misery loves company, friends, and in Upstate new york, there’s a lot to love. Blindsided, huh? Well, I guess I can understand that. 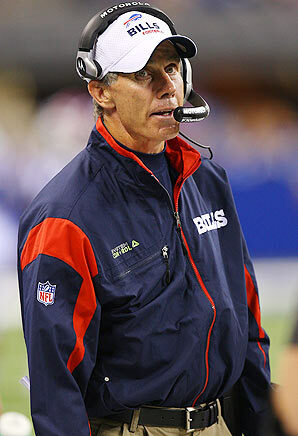 Winning games and keeping your job probably aren’t synonymous in the NFL.